This is one book that is long overdue in its time to be mentioned on this page. A story that, to date, hundreds of people have spent time analyzing, practically shredding its psychological context to pieces. Before you think this is another book review, my analyses will dig a trench far deeper than that. I’m here to discuss Twilight from a much purer perspective. First, I haven’t seen any of the movies yet, but, being an avid reader, I’ve read all the books. I’m not a die-hard fan, just someone with an appreciation for yet another book I’ve come across. I’ll take a stab in the dark in my presumption that I won’t be needing to do the usual run down of the typical synopsis that I’ve done with other books. You’ve all heard the story by now, it’s quite simple, the concept known familiarly by most of us, even to those who have yet to read it if it ever pleases them to do so. 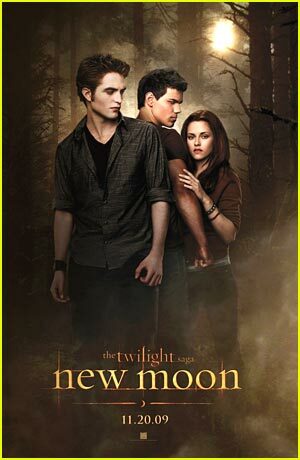 A young teenage girl moves from sunny Phoenix to live with her father in the rainy town of Forks. Eventually she meets and falls in love with a handsome teenage boy in her class, (one to whom she finds herself powerfully drawn) only to later discover he’s not quite human. A discovery that will do nothing to deter her, but one that will ultimately test their love and lead to a quadrant of books in the same series that will explore not just their relationship, but a host of problems that are sure to stem from it. Typical teenage stuff, really. 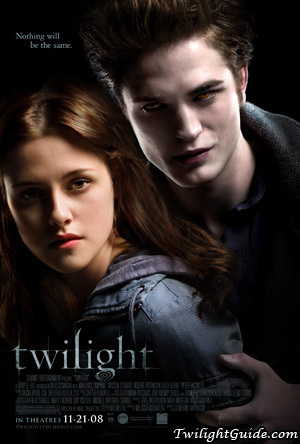 In fact, as Fan-tastical as Twilight is, there is much to it that many people, teens and adults alike, can actually relate to on a more powerful scale that dives in its reach beyond our consciousness. This is what I’m here to discuss with you today. That part of fantasy fiction that works so well to identify with us on a very human level to suction readers into its universe. And might I mention as a side bar -that which has become the most controversial part here- the writing style, which I find to operate at a breakneck speed of clean, simple prose, with a quality of poetic substance that is uncomplicated and bears few embellishments. When the book first came out, it all seemed to surmount the concept of innocence, did it not? The book cover with the famous hand reaching out, holding, gently cupping the apple; the hand of a young teenage girl, of pure white skin, unpolished nails, cast in an aura of diffused lighting. The hand that reached to temp something…or rather, someone. What is it, exactly, that this innocent was inviting to bring upon herself? Then there’s the apple. Okay, I get it. The apple represents the forbidden fruit. 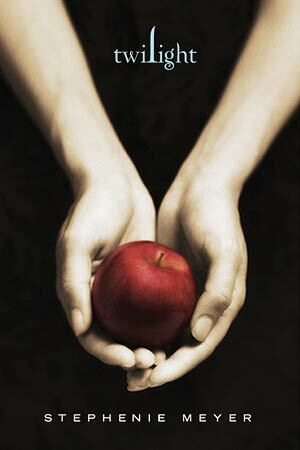 Bella is Edward’s forbidden fruit. Yet before I was provided with this explanation, I, like so many readers, was forced to use my own imagination and interpret the visual imagery for myself. Several pages into the book, we are treated with an excerpt from the Book of Genesis 2:17 “But the tree of the knowledge of good and evil, thou shalt not eat of it: for in the day that thou eatest thereof thou shalt surely die.” Unbeknownst to Eve, she was trading eternity, her immortality in paradise with a mortality that would be far more painful. Something good was to be given up, foresaken, in the act of resigning herself to temptation. Something she wanted in that moment of desire. But as theologists and scholars would argue, some would say Eve was in control, the one who tempted Adam to his doom. Is this the new twist, unintended or not, of Vampirism? Something we’ve historically come to know through Bram Stoker’s legend and every rendition that followed, when good was corrupted, de-flowered from evil, and given a novel twist in Vampire folklore for the first time ever. It seemed to me that the book cover, in the ballad of this legend, portrayed good challenging evil for the first time ever. That it would ultimately come to tame it, the way a lion tamer subdues and subjugates its ferocious beast to submission. I’m not claiming this to be a universal impression, nor am I presuming that this was the intent of the publisher when they did the cover art work for the book, but it was the first ‘message’ that I got. And it has stayed with me ever since. Then the movie came out. And the book cover changed. Or did it? Gone was the hand holding the forbidden fruit, and in its place, emerging from the corridors of our literary imaginations were the characters fulfilling and rounding out these roles in their glorified forms. The beautiful male vampire, who we’ve come to know as Edward Cullen, of pallid skin, reanimation of the living dead, with blood thirst in his eyes, cloaking a shield of protection to the young Bella Swan whose youthful face is an apparent posture of vulnerability and innocence. No makeup, no streak of ash blonde or low tone highlights, no blood-red gloss to her lips, not a hint of blush to her cheeks. Not this girl. Only the peach color of her humanity giving rise to her pure beauty. She is not a slayer ready to take on the vampire world, but someone who unwittingly, and yet with an open heart, walks blindly into it. All form of sexuality seems eliminated until you later realize it’s there, not to worry, just hidden under the sheets. This was my first point of relation to the book. I am that girl. Ordinary, plain, falling for the guy outside my league who’s impossibly gorgeous beyond his right to be. If I read this book when I was in my teens, I would probably have empathized with Bella Swan, at least in the early hours of her loneliness and ultimate feelings of desolation when Edward, in the coming sequence, makes his departure. But I jump ahead here. The first book in the series opens with Bella at the airport, saying goodbye to her mother where she is slated on a one-way trip to Forks in order to live with her father and situate herself before the first day of school. She is lonely, unsettled, anxiety running slightly high and feeling understandably scared (at least, this is what I felt on her behalf). Though seemingly ordinary in its opening chapters, it manages to draw us in as readers begin to feel a parallel of closeness in this experience we watch her tread alone. A path each of us might have walked ourselves at some point in our lives. Bella wasn’t overly confident, but let’s be real, who is at that age? Is it fair to put that kind of pressure on a young protagonist? I don’t care about stories which evolve around the ‘Mean Girls’ and the ‘Heathers’ who parade with egotistical, self-inflated importance through the hallways of high school, but ordinary ones who are simply trying to fit in like the rest of us. The kind of girls I came to be friends with; the ones who became the core of my circle. And while some might view her insecurities as annoying, it was a part of what made her so humanly relatable. Is she the best role model? She’s not supposed to be. Do stories have to teach, or can they simply exist as a focal point of relation to our own lives, where we evaluate ourselves by watching others? So the debate will continue to rage on regardless of what anyone says, depending on one’s perspective of this novel. Economists can’t seem to agree with the projected forecast of today’s financial crisis, so readers aren’t expected to agree either and will continue to extract something different. As the saying goes, To each his own. So this brings us to the next chapter in the series. New Moon followed in its wake. The interesting thing here, among the many other book cover designs that have been used, is the humanistic expressions featured in the cover art. It is brimming with symbolism. Therein lies the message of an evolution that is taking place. Regret, departure, longing, possession, dominion over one’s territory. But most importantly it is Bella’s transformation that is, if only moderately so, slightly more sexualized. Now that she’s been exposed to the experience of first love from not just one, but two suitors, she’s one step further away from her innocence, and one step closer to becoming a woman. She is less girl-ish here, more womanly, as these inter-gender relationships are serving to transform her in her journey to that eventual decision she is compelled to make. The choice between two loves, and later, that of life and death. I don’t think Young Adult fiction has to teach a lesson. When I was growing up, the library separated fiction into Adult and juvenile, where so many of the young books aimed at teen audiences revolved around ‘doing the right thing’. YA fiction today explores these episodes through practice in absence of a reprimand. Is there any wonder why parents seem to be ‘out of the picture’ or strangely absent from the lives of these teens? Think Elena Gilbert of the Vampire Diaries who simply has an aunt as a guardian, fostered at the young age of seventeen where she now feels a duty to serve as her younger brother’s protector. Perhaps these teens are intended to venture these experiences alone, without the benefit of adult intervention. Bella is a student, conscientious, thoughtful, introspective with a sincere confession that she finds it hard to ‘relate to people her age’. Just another girl who seems slightly introverted without a “click” posse of friends. She isn’t the most popular girl in class, but had only but a handful of friends who’ve proven sincere. She was uncoordinated and un-athletic. So was I in highschool. It seemed to me that everyone ranked athletically in some sport, and while I might have tried to get into track during those first critical weeks of tryout, I was eventually relegated to junior varsity because I wasn’t physically qualified, or more aptly put, worthy to compete in Varsity. And don’t even get me started on gym class. In sophomore year I left second-period in tears when we played floor hockey, when I inadvertently shot a puck into the opposing team’s goalie. That’s how uncoordinated I was. I even missed the boat on strategy. I was the one ‘unleashed’ to the classes’ peril. So I found her ‘bull in a china shop’ awkwardness to be a near memorable impression of my own experiences in that period. Dishes slip out of my hands when I’m washing them at the sink, I dropped a pizza the other day (luckily it was still in the box, so the cheese just hit the roof of the cardboard), and well, the list goes on, like the way I cook, (I cut my finger the other day dicing pepperoni). Band Aid Brands will be kept in business through me. So the shame I felt of my own lack of handling capability was put in a gentler light that seemed far less condemning. As opposed to other heroines in classic literature who are untouchable, valiant, flawless. Rather, I’ve been served one who is relatable and flawed in so many ways. One that isn’t trying to prove anything. As far as all the boys having an instant attraction for her, believe me, it happens. Isn’t the new girl (or boy) in town always a mystery? When I moved from highschool to college, I found the same response in my male peers. In high school, where most guys were ‘trained’ to only look at the elitist few who stood at the top of the food chain, in the university setting, the lines get blurred, and the rankings that once were soon crumble in a rubble pile of smoke and dust. A new season, a new beginning. And so it was the way for Isabella Swan as she entered into what would become a new experience of her life. One that would come to prove irrevocable by her own free will of choice. Hence, we return to the apple, the forbidden fruit. It represents a choice we are all tested to make at some point in our lives The ones we are repeatedly challenged against the earthly needs of our humanity. In the end, we’re going to have to live with the choices we make for the rest of our lives. More importantly, a story doesn’t need to be an epic, or be delivered to its audiences in epic proportions in order to be great. Any narrative or dramatic literary work can easily revolve a simpler story line that touches a part of us that we can relate to in a large way. It doesn’t need a flamboyant, elocutionary structure of literary bottle rockets and plot boosters. Some stories are simply character driven. And with that style alone they tend to work so artistically well. If it’s drawing readers in who seem to develop a stronghold connection to it, then it’s doing something right. Why is it that we relate to vampires? Why does the genre keep making a come back repeatedly? Why are we always welcoming the folklore at our doorstep with open arms? Perhaps because it is a form of fantasy/realism, where we see a world of creatures and imagine with serious consideration, our place in it. We somehow feel a connection to vampires in that their origins are rooted in the human experience. The cross over into the world of their immortality is but a bite away, sometimes offered, other times forced upon us. They are lost souls who, although are very much in touch with their sexuality, lost touch with their humanness. While others, like the Cullens struggle to keep what remains of this in their conscience, the last thread that binds them to the human path. But oh, are we not drawn to that physical prowess? That speed and agility that seems so inexplicably impressive and awe-inspiring! Humans are athletic and becoming increasingly so over time. See for yourself as you watch the Olympic Games of the 1940s compared to those athletes showing skills today that are vastly superior by comparison now in this day, the twenty-first century. Let’s face it, and for a moment here, stretch our literary imaginations where it can touch the province of our own reality if only for a brief second. Vampires are our cousins. Twice removed; once by death and then by divine power they exercise through their speed and strength, gifted to them in compensation, a small consolation prize for the life and the humanity that has been so cruelly taken from them. Greetings from the Corner Cafe. Think of it as an online book club. I love reading books and will be using this forum to post my thoughts as I appraise them. Reading is still one of the most inexpensive forms of entertainment today, and one that's not going out of style anytime soon. Gone With The Wind. I realize this novel has fared its share of heavy scrutiny, had numerous perspectives drawn from it and I certainly don't deign myself to be a true historian in its accurate interpretation. I'm just a reader with an immense appreciation for Margaret Mitchell's storytelling of that era. It's not a typical war movie that retells the events of the Civil War, but rather explores the perspective of a young Scarlet O'Hara, starting from her teens, to whom I believe many young women, even in this day and age, can quite easily relate. Watch as she navigates her way through the trials of love and heartbreak, her relentless and stubborn determination to get the things she sets her mind to, even at high cost to her pride. Take notice of her apathy, especially in the story's beginning, when she replies hotly to the Tarleton brothers' discussion on the pending war,... "If either of you boys says "war" just once again, I'll go in the house and slam the door." She defies the embodiment of Confederate womanhood, standing defiant and separate in her indifference. There's a certain vanity about her, an aloofness, particularly in the beginning, where she appears absent of any compassion in her attitude towards the war. But then comes the inevitable turning point, and Scarlet finds herself standing in another defiance against a poverty that threatens to swallow her whole, one that she refuses to succumb to in that epochal of pivotal moments in her life, "...as God is my witness they're not going to lick me. I'm going to live through this and when it's all over, I'll never be hungry again. No, nor any of my folk. If I have to lie, steal, cheat or kill. As God is my witness, I'll never be hungry again." And Scarlet makes good on this promise.